a (new) job in IT? Then come meet your future employer at Match IT, the only job event in Belgium for IT talent and ambitious IT professionals. This is your chance to talk to people from Anankei, Capgemini, Centric, MIVB and many more in an easy-going setting. Find your match! Meet up to 30 employers and expand your network. Around 30 companies with a large number of IT vacancies are dying to meet you. Get to know new companies and expand your professional contacts. Introduce yourself to recruiters and personally hand them your resume. It’s your chance to distinguish yourself from others who only apply by mail. Employers prefer a personal approach. 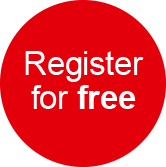 Registration is totally free. You literally have nothing to lose. Come meet your future employer at Match IT. Do you need a new challenge in your career? We have openings for permanent employees and freelance consultants. So be sure to contact us. Who knows, we might find each other! Centric is het grootste ICT bedrijf van de Benelux met ruim 4500 medewerkers. Centric Staffing Services richt zich op ICT detachering. Werk je bij Centric, dan werk je bij een informele organisatie die zijn medewerkers centraal stelt. We vinden kennisontwikkeling, korte lijnen en persoonlijke begeleiding belangrijk en helpen je graag bij het waarmaken van jouw ambities. Bringing Brussels into motion is one thing. Keeping it moving is another. And that's where you come into view! The STIB needs experts to deal with the network behind its network. You can do IT! As an IT or telecom specialist, you take care of the data transport behind the scenes of public transport. And you make sure that the STIB's services take the right route. In short, you just make IT happen! Computer Futures partners with companies and candidates across the world, providing them with a recruitment solution that’s tailored to their specific needs. Our consultants take the time to understand exactly what you’re looking for. Whatever sector you’re focused on, whether you’re looking to hire or are just seeking a new challenge, we can help. You can either use our job search or contact us to tell us exactly what you’re looking for. We are organizing knowledge sharing sessions in the latest IT trends on a regular basis. Computer Futures is proud to be part of SThree, a world leader in recruitment. Established in London in 1986, Computer Futures now employs over 600 people across 21 countries and 55 offices globally. UZ Brussel is hard at work! UZ Brussel has almost 400.000 patients each year. 3,700 people work around the clock at UZ Brussel to provide the very best in care and maximum comfort for the hospital’s patients. The backbone behind this care powerhouse is the extensive multidisciplinary ICT team, which supports the doctors, nurses, paramedics and all of the hospital’s services with its high-tech systems. Working closely with the medical teams, ICT helps optimise the care process for patients. Applications developed in-house, as well as portals and mobile applications all contribute to enhancing their wellbeing and comfort. Brunel Belgium, part of Brunel International, selects and guides experienced highly educated specialists in Engineering, ICT and Life Sciences for Belgian companies, multinationals, banks, insurance companies and the government for short as well as long term assignments. Operating from its own international network of 106 offices in 37 countries, Brunel provides its specialists with challenging projects, adapted to personal preference, interests, talents and desired region and its clients with the correct, specialised knowledge and additional personnel, both locally as well as internationally. Our mission is to help organizations survive and thrive in a world where the rules of the game are constantly changing. GIAL, offers its services and IT products to local public institutions. The range of its services goes from the management of the IT infrastructure to the implementation of turnkey application solutions. Among their references: the City of Brussels, the public social welfare center, the public land administration and the libraries in Brussels Region and in Wallonia. To guarantee an high level of quality, GIAL relies on standards such as PRINCE2 and ITIL. Fidea positions itself as a solid insurer for retail clients, the self-employed and businesses. The company applies a differentiated distribution approach and sells its policies through independent insurance brokers as well as via the Crelan and Bank Nagelmackers distribution networks. Fidea offers high-quality insurance products at market prices that meet the needs of its client target groups. In addition to its head office in Antwerp, Fidea has a regional office in Braine-L’Alleud. As multimedia company, Roularta Media Group (RMG) aims to create sustainable value for the benefit of its print and digital readers, viewers, listeners, its customers-advertisers, its employees and its shareholders. In Belgium, Roularta is a dynamic leading actor in the publication and printing of news and niche magazines, newspapers and free papers, in the audiovisual media landscape and in electronic publishing. Argenta is a banking and insurance group, operating in Belgium, the Netherlands, and Luxembourg. We offer savings and investment products, credit and insurance, with a focus on families. We work with an extensive network of independent agents. We are currently the fifth largest bank in Belgium. Argenta is one of the largest employers in Antwerp with around a thousand in-house employees. Argenta is ambitious. We continue to grow. That is why we are looking for new talent. Talent like you! A unique corporate culture based on carefully chosen values. A clear framework. This way, you and your colleagues can achieve strong results, not only for Argenta as a company but also for yourself. Because we give you every opportunity to grow, as a person and as an employee. Are you someone who is ready to take on a challenge and who enjoys stepping out of your comfort zone? Then Cheops is the right place for you. At Cheops you will find a community of driven and committed people. We are a company that strives for growth and success offering the ideal place to develop your talent and build a future proof career. Credendo is a European credit insurance group that is present all over the continent and active in all segments of trade credit and political risk insurance, providing a range of products that cover risks worldwide. We are the first-choice business partner to protect against the risks of trade and investments in the real economy and to facilitate the financing of such transactions. The Federal Public Service Finance manages the resources needed to meet the needs of our society. Taxes, duties and levies are collected in a correct and fair manner. We ensure that these resources are properly allocated to carry out projects to the benefit of the citizens: infrastructure, social benefits and education. We regularly need IT profiles to develop citizen-oriented applications such as Tax-On-Web, MyMinfin or Biztax. IRIS Group relies on a well-known reputation of innovation and building the future together with partners and customers by offering a complete range of innovative technological solutions, products and services. Our goal is to help individuals, professional organizations, public administrations and international institutions to better manage their information and to transform their main assets into digital data, easy to archive, easy to share and easy to convert into valuable and actionable content. In short IRIS Group helps you go digital! Managed Services is our core business. We are all specialized in certain technologies and implementing products such as Dell (Servers, Networking & Storage), VMware, Cisco, Checkpoint, Microsoft Azure (cloud). As a ServiceNow partner, we implement the most innovative solutions on a fast growing platform. ENGIE is the market leader in the energy transition. This energy giant has four entities. ENGIE Cofely is the benchmark for integrated facility management and delivers technical solutions for public and private buildings, industry, airports and data centres. ENGIE Electrabel generates and sells electricity to homes, professionals, businesses, large enterprises and public institutions. ENGIE Axima designs and maintains climate control and fire safety facilities. ENGIE Fabricom designs, produces and maintains multitechnical facilities. We have openings for permanent employees and freelance consultants. So be sure to contact us. Who knows, we might find each other! Centric is the largest IT company in the Benelux with over 4,500 employees. Centric Staffing Services focuses on IT secondment. Working for Centric, means working for an informal organisation that puts people first. We value knowledge development, short communication lines and personal coaching and love helping you realise your ambitions. The Federal Public Service Finance manages the resources needed to meet the needs of our society. Taxes, duties and levies are collected in a correct and fair manner. We ensure that these resources are properly allocated to carry out projects to the benefit of the citizens: infrastructure, social benefits and education. We regularly need IT profiles to develop citizen-oriented applications such as Tax-On-Web, MyMinfin or Biztax.